Having the right audio system is key to getting the best driving experience from your vehicle. But if your car’s sound system desperately needs a tune-up, you may not know where to begin. A new sound system can instantly enhance even the most rundown of vehicles. And as a bonus, it’s a project you can even do-it-yourself. 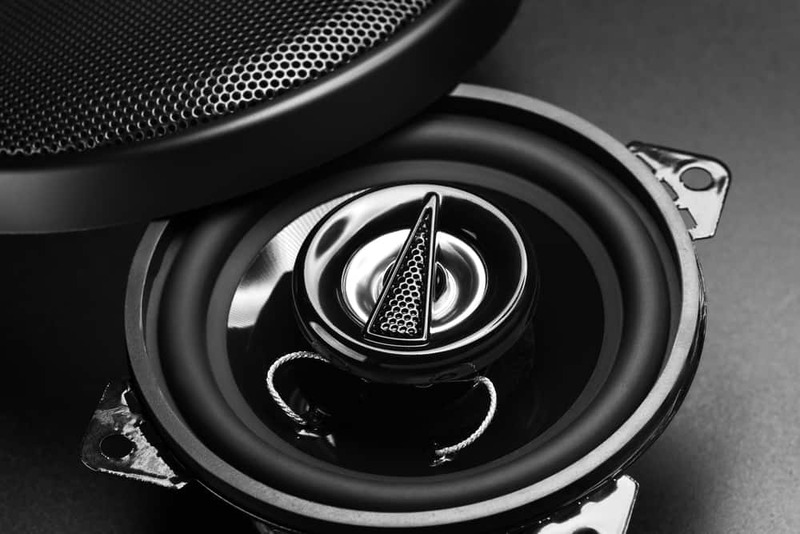 Upgrading your car speakers is an easy place to begin your vehicle’s audio makeover, but that leaves the question: What speakers fit my car? Why Do I Need To Know What Speakers Fit My Car? I Know What Size Speakers Fit My Car. Now, What Do I Do? What Kind of Car Speakers Are There? What Kind of Car Speaker Is Best For Me? Car speakers are a major component of your vehicle’s audio system. Without them, you would drive in complete silence. But before beginning any kind of major upgrade, it is crucial to know the exact size speakers that will fit your vehicle. When selecting the right car speakers for you, it is important to note the type, quality, and number, but keep in mind that none of those things matter if the speakers do not fit in your vehicle. Knowing the size of the speakers themselves will also help you pick any other accessories you may want or require such as speaker boards, mounting boards, and aesthetic rims. Upgrading your car’s audio system is a complicated project that does not have to be confusing. By following just a few simple guidelines, you will empower yourself to choose the right car speakers for you and enjoy an improved sound experience on your next drive. Taking actual measurements is the absolute best way to find out what size speakers fit in your car. Using a measuring tape to record the measurements of the speakers already installed in your car. Knowing the actual measurements will enable you to shop the marketplace for replacement car speakers with identical measurements to the former speakers. Or, if you’re feeling ambitious and would rather install car speakers that are much larger than the existing speakers, also take measurements of any available space you may have in the vehicle that can accommodate larger car speakers. Car speaker slots often have markers to indicate the best-fit speakers for each speaker’s specific location. It is a convenient shortcut for certain models, but not all cars come with inbuilt speaker boards or size markers. Check to see if your car does. Just remember: When in doubt, always take the actual measurement yourself. Maybe taking actual measurements of your car speakers is not the best course of action for you. If that is the case, it is understandable. Taking accurate measurements is crucial and can intimidate if it is your first time. You want to make sure you have correct measurements. If you would rather not take actual measurements of your car speakers yourself, then you can always look to the Internet for online tools that will aid you in gathering the relevant information. Essentially, an online speaker size tool is a database of specific information on car speaker size for a variety of car models. Just input your car model’s details, and the database will provide the exact speaker size for your vehicle. Besides helping you find out what speakers fit your car, online tools can also help you test your existing speakers for balance, clarity and other functions. Online Car Stereo and Car Toys Fit Guide are two recommended online tools to help you figure out what speakers fit your car. Taking actual measurements may not be for you. Utilizing online tools is not a foolproof strategy either – maybe your vehicle isn’t in the online database. In those cases, a better option might be to check out your car’s owner’s manual. It is right there in your glove box for a reason. Find information about speaker size compatibility in the audio systems section of your vehicle’s operating manual. Typically, this is an accurate measure of the size of the factory installed speakers that came with your car. Use these measures as a guideline for what other car speaker sizes you may want to try out. Going the Do-It-Yourself route is not for everybody. Taking on a project like upgrading the speakers in your car can be extremely intimidating, especially if it is your first time “under the hood.” If you want to update your vehicle’s sound system but find yourself overwhelmed by the steps involved in finding out what speakers fit your car, then there is no shame in asking a professional car audio technician for help. Take a drive down to your local car accessory or auto body shop and get some professional advice from people who know in-car sounds systems better than you. If you want to upgrade your car’s sound system and instantly improve your overall driving experience, then you need to know what speakers fit in my car. Knowing what size speakers fit your car will allow you to update your car’s sound system, which makes for much better driving experience, overall. Accurate measurements will allow you to know what fits and empower you to experiment with car speakers of different sizes and shapes to create the ultimate sound experience for your ride. Imagine hopping in your car and hearing the absolute best audio experience possible. You can only get there if you first know exactly what speakers fit in my car. Now that you’ve taken accurate measurements and know exactly what size speakers fit your car, you’re ready to explore the auto sound system marketplace for the best new car speakers for you. There are so many different types of car speakers available out there, and it is up to you to choose what the best fit is for you. Keep yourself in mind as you make this decision. You are the one who will be behind the wheel after all. Depending on what size speaker your car can actually handle and your own expectations, you are certain to find the right-sized car speaker (or set of right-sized car speakers) that is just right for you. These car speakers are the largest in the marketplace, and they can make your vehicle bump with bass. Ranging in size from 8 inches to 15 inches, the sound range and bass power will obviously increase with size. These car speakers are an especially practical choice. They do not take up an unreasonable amount of space, and they offer wide sound range and great clarity. The one downside is that these speakers utilize specific ports that may not be available on all vehicles without proper adaptation. Adapting these speakers may involve a more advanced skill set. These car speakers are extremely basic and somewhat unremarkable in their ubiquity. Find these speakers in most vehicles. However, they do offer a wide sound range. Of all car speakers, the 6.5” model is the most versatile for its ability to fit most vehicles. These tiny, 1” to 2” speakers work well as support sound to compliment a larger car audio system without overdoing it. The only person who can answer this question is you. Once you know what speakers fit your car and you’re ready to search the marketplace, you should use your own preferences and experiences as a guide. Do you want a wide sound range? Deep, thumping bass? Maybe clarity of sound is important to you. Maybe you need the extra cargo space, so a larger woofer or subwoofer speaker is not a practical choice for you. Take a personal inventory of the things most important to you in a car speaker and sound system. Use those preferences to inform your decision-making process when it comes to car speakers. Ultimately, you are the only one who knows what car speaker is best for you. Now that you’re outfitted with the information you need to take the first step, you can get those accurate measurements. You can find out what speakers fit in my car. And you can choose the best car speakers in the marketplace that fit your vehicle and meet your expectations. Happy driving!